FFEI is a fast moving environment and the perfect place for talent to grow. We employ bright, responsible, committed people whose ambition and vision matches our own. We offer a professional, friendly environment where ideas, innovation and improvement are encouraged. FFEI employees have considerable autonomy and support to achieve their goals, and we expect them to co-manage their development and progress. Constructive feedback on employee performance is key to our success and all employees have regular appraisals with their line manager. We have a history of innovation and are proud to have received many coveted industry awards for our products and technologies, including the Queen’s Award for Innovation. The awards reflect our culture and best practice combined with the capabilities and commitment of our employees. "I joined FFEI in 2004 as a Black Box software tester. I am now currently enjoying my new role as Technical Sales Support Manager for Graphium Digital Inkjet, Graphium Label Workflow and other Packaging products that are currently under development. On a day-to-day basis my role sees me providing both technical and commercial support to distributors globally. I enjoy speaking to colleagues dotted around the world, many of whom I have had the opportunity to visit in person. I also enjoy how varied my day can be – one minute assisting customers remotely, the next I’m getting my hands dirty producing live work on press. The most enjoyable thing is the people; everybody works together to help get the job done." "I joined FFEI in 2001 as a Financial Analyst, after three years I was promoted to Finance Manager. I am now Business Support Manager, which I am really enjoying. As I am in the finance department I get to work with all aspects of the business, including Inkjet and Life Science. No two days are the same. My position involves reporting financial performance and making sure financial procedures are being followed, which also includes the annual financial audit. FFEI is a good-sized business, it feels intimate and everyone knows and works alongside each other. 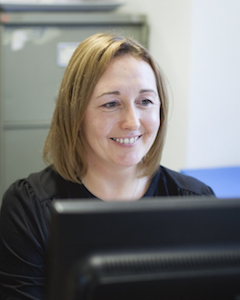 I enjoy having a good working knowledge of all aspects of the business and getting involved with many different departments; it isn’t insular like other businesses I’ve worked for which means there is a good atmosphere." 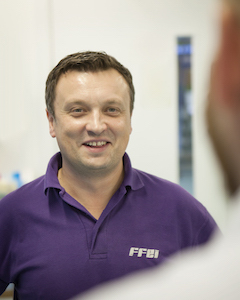 "I joined FFEI around 8 years ago as a Test Engineer. Since then I moved into a Customer Support role, and more recently I have become involved with Mechanical Design. I am involved in the inkjet side of the business and I do a lot of work on the Graphium press. My day-to-day tasks tend to be helping customers with everything they need which provides plenty of variety. 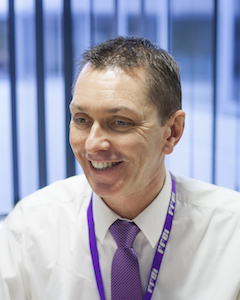 "During my thirteen years with FFEI I have seen many changes and been in a number of different roles from the Hardware Customer Support Manager to my role now as Operations Director. I enjoy being part of an organisation that changes to adapt to new ideas and market demands, but remains faithful to its previous customers. Because FFEI works with partners to develop and then manufacture and support products we are able to be a part of the entire equipment lifecycle from cradle to grave which, whilst being challenging, is also very rewarding." 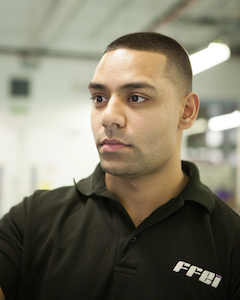 Become an Apprentice at FFEI and you’ll learn from the best. You’ll work on projects that have a real impact on our global success. You’ll also be rewarded as you develop your skills and start on the road to building an impressive career. We offer all kinds of apprenticeships in a broad and diverse range of careers. We are looking for a Senior Software Engineer to develop software applications for use on new or existing software products. A good level of technical expertise is expected along with the ability to bring new and innovative ideas to help improve and maintain the high quality of FFEI products. If you would be interested in a similar position, please get in touch. We are always keen to hear from engineers looking to pursue a career in digital imaging! Hemel Hempstead has much to offer. You will find a whole lot of things to do here in Hemel Hempstead. From world class extreme sports facilities to areas of outstanding natural beauty. Hemel Hempstead is located in the borough of Dacorum in West Hertfordshire to the north of London, Dacorum embraces the new town of Hemel Hempstead, the historic market towns of Berkhamsted and Tring as well as picturesque villages and rural locations. With its mix of well-known attractions and hidden treasures Hemel Hempstead is a great place to discover – whether you want to explore and escape or relax and unwind you will find all you need for a perfect stay.